Title: "UNITED RELIGIONS" CONTINUES TO TAKE SHAPE! Subtitle: A global meeting of top world leaders representing 18 religions has concluded a meeting in late September, 2003. A greater concentration of Ecumenical religious leaders you cannot imagine! Is this another sign that the Antichrist is close to appearing? NEWS BRIEF: "A call for 'United Nations of Religions': Kazakhstan conference brings together leaders of 18 faiths", WorldNetDaily, September 30, 2003. "As a two-day conference of major religions ended in Kazakhstan, key leaders of 18 faiths agreed to meet regularly under the banner 'Congress of World and Traditional Religions'. One delegate hoped the group would translate into a 'United Nations of Religions'." The "United Religions" has been a growing force for much of the decade of the 1990's. As always, the Roman Catholic Church has been instrumental in leading this gathering of all the world's religions into the prophesied religion of the Antichrist. We view this gathering in two ways: First, this gathering is probably just another in a long series of meetings designed to overcome the divisions that remain; secondly, this gathering seems symbolic, for it is the first time we have seen exactly 18 religions represented. The number "18" is a hidden "666", for the addition of "6+6+6" equals 18. Whenever an occultist wants to communicate a "666" to other adepts, they use the number "18". Further, Kazakhstan is viewed as a model of "religious tolerance". This gathering seems to continue to propel the religions to the world into the final Ecumenical Religion of Bible prophecy. However, we can learn much of the nature of this "United Religions" by going back to some earlier meetings. You will discover that these 120 participants from 18 different religions is one of the smallest meetings of all! 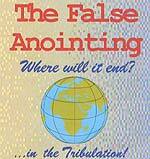 The most important global Ecumenical religious meeting of all was held August 28-31, 2000, a global religious meeting that was planned nearly a decade ago as part of a triad of meetings that would provide enough "psychic power" to stage Antichrist! In fact, at the end of the third meeting (September 10, 2000), the "baby" New World Order was officially "born"! While we cover this subject thoroughly in NEWS1395, we will quote relevant portions of this most important "United Religions" meeting, a gathering that helped "birth" Antichrist. Thus, it does appear that the concurrent -- nearly simultaneous -- meetings of key global leaders in the realm of Religion, Economics, and Politics that were planned back in 1991 as being necessary to produce the Ecumenical Jerusalem they envisioned, indeed did take place between August 28 - September 10, 2000. These meetings were designed to clear the way for agreement to internationalize Jerusalem and create a religious meeting house for all three Monotheistic Religions -- Judaism, Muslim, and Christian. Just as the Bible states, the attention of the world is on tiny Jerusalem, insignificant in terms of commerce or military power, but powerful because prophecy uttered by Almighty God is being fulfilled there. The importance the Illuminati places upon Jerusalem is one of those exciting instances when the most powerful men in the world concoct a plan that completely fulfills Bible prophecy. The Illuminati desperately wants the International United Nations to control Jerusalem. They plan for their Christ to make his headquarters there for the first seven years of his reign [Page 235]. Further, they want to gain control of Jerusalem in order to force a permanent and dramatic decline in Orthodox Judaism [NEWS1052] and they want control in order to rebuild the Temple of Solomon [NEWS1643]. The "Illumined Ones" believe only such a combination of events shall bring peace to a Jerusalem wracked by incessant war since May 14, 1948, when Israel officially became a nation. This was an effort to find common ground, common values, and learn tolerancethe building blocks of the One World Church. The One World Church is nearing fruition. The UR and similar organizations are aggressively seeking to bond all world religions. The leaders of world religions are actively seeking common ground, common beliefs, and common values. The World Council of Churches is determined to participate in and aid these efforts. The pope and Church of Rome are "seizing the moment" to finally grasp their goal of establishing the so-called "Kingdom of God" on earth. Absolutism and exclusivity are rapidly becoming labeled as intolerance and bigotry. This latest United Religions (UR) meeting in Kazakhstan is simply the latest in a long string of such meetings, to continually work for the uniting of all religions. As the world spins onward, getting closer and closer to the time Antichrist will step on to the world scene, aided and abetted by his False Prophet -- whom we know will be the Roman Catholic Pontiff [NEWS1052] -- we should expect these types of meetings to continue. The obstacles to be overcome are daunting, even for unredeemed men of false religions; therefore, the meetings are continual. However, such meetings are truly a "sign of the times". If you have accept Jesus Christ as your personal Savior, but have been very lukewarm in your spiritual walk with Him, you need to immediately ask Him for forgiveness and for renewal. He will instantly forgive you, and fill your heart with the joy of the Holy Spirit. Then, you need to begin a daily walk of prayer and personal Bible Study.